Keselowski Advanced Manufacturing is jumpstarting a push for new hybrid manufacturing, serving customer needs in aerospace, automotive, defense, energy, oil and gas, and tool and die. 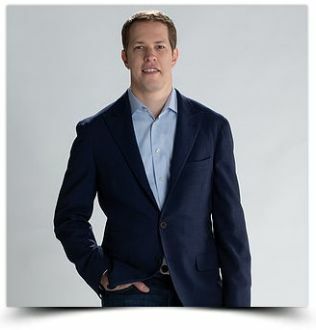 With years of experience harnessing the competitive advantages of advancements in engineering and manufacturing, NASCAR champion Brad Keselowski is launching a company on the cutting edge of a new technology, poised to start a new American industrial revolution. Keselowski unveiled his company -- Keselowski Advanced Manufacturing (KAM) -- at its state-of-the-art facility in Statesville, N.C. He is investing tens of millions of dollars in equipment and expertise that will be based in the 70,000-square-foot space. KAM already has 30 employees and by the end of the year the company expects to have up to 100 people working in one of the most advanced hybrid manufacturing facilities in the U.S.
KAM is partnering with several of the world's leading companies, including ALSCO, BIG KAISER, GE Additive, Mazak Corp. and Pinnacle X-Ray Solutions. 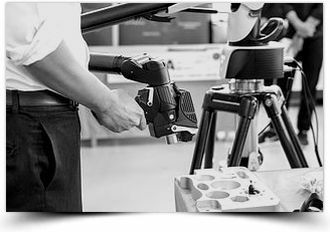 Working with KAM's team of engineers and technicians, the combined efforts will help KAM lower customer costs and reduce waste, while manufacturing higher quality products. "The capabilities of new technologies are limited only by our imaginations and willingness to act," said Keselowski. "Until now, much of this advanced manufacturing technology was considered too complex and too expensive for production level applications. By combining additive manufacturing with subtractive capabilities, the goal of KAM is to lead the way for the next industrial revolution by making these technologies more accessible." This combination of diverse metal manufacturing technologies allows KAM to be a high-tech solutions provider for customers. Industries such as aerospace and medical are seeing the benefits from this approach utilizing the technology on a smaller scale. What differentiates KAM is its business vision to scale up hybrid manufacturing capabilities at a production level in Statesville. Keselowski's decision to start KAM reflects his experience growing up in a family with a manufacturing heritage. His grandfather spent World War II making drill bits for the military. Later, Keselowski worked alongside his dad and uncle -- both racers -- as they built their cars in the family shop. Once he became a driver, Keselowski learned more about advanced machines, tools, engineering designs and other technological innovations. By partnering with leading equipment and technology companies, KAM will refine elements of the production process to improve both quality and speed. "We are excited to be working with the team at KAM, because we know the hybrid manufacturing model they've developed will help companies worldwide," said Rod Meyer, Pinnacle's founder and CEO. "Our technologies go hand-in-hand. With our advanced CT scanning technology and KAM's expertise in engineering solutions, we're disrupting the traditional manufacturing process." Keselowski says the new technology marks an important opportunity to grow a critical sector of the American economy. "Manufacturing built our country, enabling the strength and freedom we've all enjoyed," Keselowski said. "Today, the advancements in manufacturing will spark a new wave of American companies, not only creating jobs, but also solving some of the world's biggest problems -- from helping the environment to improving our safety. At KAM, we've assembled the talent, resources and technology to conquer these challenges. I am confident that our work will have a positive impact for generations to come." With operations that began in 2018, KAM has already begun working with customers.